While the United States has made significant strides in reducing fatalities and serious injuries over the last decade, we have recently seen an alarming uptick in roadway deaths. In 2016, 37,461 people lost their lives on our roads, an average of 102 people each day. By working together to focus our efforts and continue building a safety culture, we can reverse this trend and drive the number of fatalities on our Nation’s roads to zero. FHWA administers the performance-based Highway Safety Improvement Program (HSIP) with the goal of reducing traffic fatalities and serious injuries on all public roads. The HSIP requires that each State develop a Strategic Highway Safety Plan (SHSP). The SHSP is a data-driven, multi-year, statewide-coordinated safety plan that provides a comprehensive framework for reducing highway fatalities and serious injuries on all public roads. Many States are committed to zero deaths visions through their SHSPs. Supporting the HSIP is the Safety Performance Management (Safety PM), a part of the overall Transportation Performance Management program. 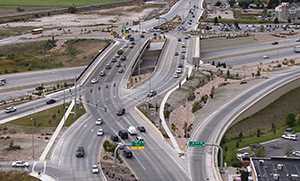 FHWA defines Safety PM as a strategic approach that uses system information to make investment and policy decision to achieve national performance goals. The most significant element of the Safety PM for States and metropolitan planning organizations (MPOs) is the requirement to set annual safety performance targets for five specific measures. 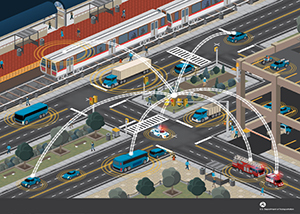 FHWA also leads major initiatives such as Every Day Counts, Proven Safety Countermeasures, and the Focused Approach to Safety to promote safety technologies and countermeasures that yield the greatest benefits. The ultimate goal of each initiative is to eliminate all deaths and serious injuries on our transportation system. 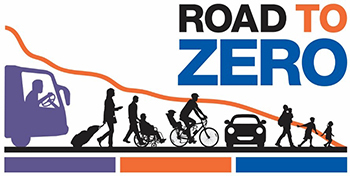 In addition, FHWA partners with other US DOT Administrations and external organizations in support of a series of national efforts, including the Road to Zero, Toward Zero Deaths, Vision Zero, and ITE’s Vision Zero. Each initiative functions separately and targets the different audience group, but partners and audiences alike share the goal of eliminating fatalities. The leaders of the initiatives collaborate with FHWA and each other to coordinate their efforts. The U.S. Department of Transportation’s (US DOT) Safety Council has identified safety culture as a top priority across the Department. The US DOT defines a safety culture as the shared values, actions, and behaviors that demonstrate a commitment to safety over competing goals and demands. Consensus among safety experts is that a safety culture exists in different forms in the transportation industry. Two forms that resonate the most with transportation organizations are an organizational safety culture and a public safety culture. The extent to which safety is valued and pursued by an organization indicates the strength of that organization's safety culture. The organization is aware of potential hazards in its work environment and is prepared to react to incidents. Agency staff have safety in mind when planning, scoping, designing, and constructing a roadway. Employees regularly communicate the importance of safety with colleagues, customers, and contractors. Executive leaders are vocal supporters of safety and empower employees to seek innovative approaches to improving safety even if safety is not explicitly part of everyone’s job title. States or communities with a safety culture have citizens who understand the risks associated with transportation and choose to make safe choices when using the transportation system. Drivers in a community with a strong safety culture are likely to wear their seat belts and safety gear voluntarily, obey traffic laws, limit distractions, and refrain from operating a vehicle when impaired. The zero deaths vision is a way of clearly and succinctly describing how an organization or individual is going to approach safety. It acknowledges that even one death on our transportation system is unacceptable. This idea was first adopted in Sweden in 1997 as "Vision Zero" and since then has spread around the world. Gabe Rousseau, FHWA Zero deaths uses a data-driven and interdisciplinary approach that targets specific areas for improvement and employs proven countermeasures that apply education, enforcement, engineering, and emergency medical services (the "4Es") to implement safety solutions. The zero deaths concept also incorporates basic principles such as broad institutionalization of the safety culture, a systems approach, and a recognition that the nature of humans to make mistakes means that infrastructure must be designed to mitigate driver error to the greatest extent possible. 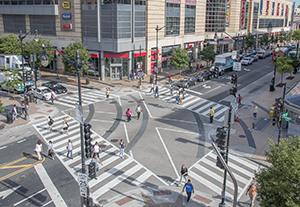 Cultural change and sustainability – A zero deaths vision requires a change—a shift in culture both within transportation agencies and other organizations as well as within communities. Everyone must accept that fatalities are unacceptable and preventable. 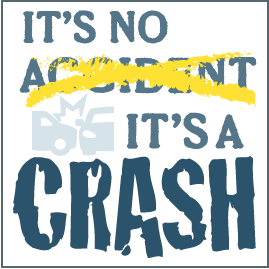 What factors lead to crashes and on what types of roadways do crashes occur? When prevention fails and a crash does occur, how can we reduce the severity of the crash? How can we improve the safety of all parts of the system so that if one part fails, other parts will still protect transportation system users? Acknowledgement of human fallibility – The approach recognizes that humans make mistakes, and it is necessary to design a transportation system that reduces the number and severity of consequences resulting from those mistakes. Shared responsibility – Achieving zero deaths requires a mutual understanding between transportation agencies and the public. All parties who build and use the transportation system should ensure appropriate system designs, enforce and obey traffic laws, and embrace a safety culture. Road to Zero - The FHWA, the National Highway Traffic Safety Administration (NHTSA) and the Federal Motor Carrier Safety Administration (FMSCA) are working with the National Safety Council (NSC) on this national road safety leadership initiative. This initiative involves a national coalition working together to develop a coordinated approach to reaching zero deaths within the next 30 years. National Strategy on Highway Safety Toward Zero Deaths - Along with NHTSA and FMCSA, FHWA provided technical support to a group of organizations that represent professionals with an active role in highway safety, led by the American Association of State Highway and Transportation Officials. This group developed the National Strategy, which is an overarching and common vision that drives and focuses collective efforts to eliminate injuries and fatalities on America's roads. Vision Zero Network - This collaborative campaign works with communities to reach the goal of Vision Zero while increasing safe, healthy, and equitable mobility for all. 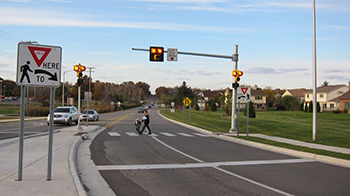 The FHWA coordinates with the Vision Zero Network to provide assistance to these communities. 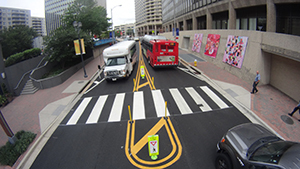 ITE Vision Zero – The Institute of Transportation Engineers (ITE) established the Vision Zero Task Force to advance the goals of the Vision Zero and Toward Zero Deaths movements. The ITE and FHWA have a long tradition of working together on a range of initiatives, including those related to zero deaths.